“Wee Three” is a charming and delightful collection of poems for children. Marta Moran-Bishop truly captures the voice and curiosity of a little child. The detailed pen and ink illustrations by Hazel Mitchell, bring the text alive. Her lovely, delicate artwork puts me in mind of my favorite A.A. Milne books as a child. The watercolor on the front is colorful and full of sunshine. “Wee Three” is the “Now We Are Six” of the 21st Century. I loved the poems and illustrations in this beautiful little book. My granddaughter, who is three, particularly loved “Upside Down Land”. My favorites are “Lonely” and “When I’m A Lady”. This is a wonderful book to share with children and awaken their love of poetry. 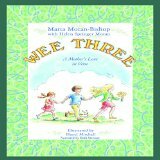 I highly recommend “Wee Three” for children of all ages—and adults who are children at heart. The Between Times – that brief space between day and night, when shadows linger and the world seems awash with magic. It is foretold that a girl will be born who can control this time, using it to help heal the world. Jewell and her father, Ben, live in poverty. Their lot is no worse than many and better than some. At least they have a home and Ben has a job. But Jewell must hide for fear that she will be taken and given as a wife to one of the important men in the community. Life is very different in this futuristic novel. The lines between the classes — rich and poor, have been emphasized by a wall. The upper city is cut off from the lower, clearly dividing society. There is no such thing as upper mobility or making a better life for your family. Women have no rights and are treated as merely commodities to be bought, sold and traded. Marta Moran Bishop paints a very disturbing picture of a future America where no one has any rights, save the rich. What the characters see as their past, we see as our present — politicians wanting to control the rights of women, financial ruin, the devastation of the national debt on the country, unemployment…. The Between Times is an amazing look at one family’s fight against the system, leaving the reader with hope that they will win. For us, the future isn’t so bright. 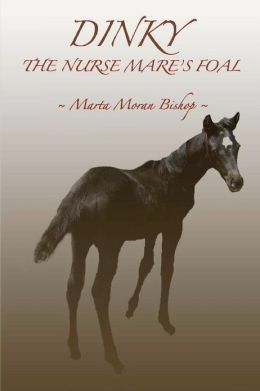 Marta Moran Bishop’s descriptions are colorful and vivid, drawing from her skill as a poet. She has woven a story resplendent with imagery so that the reader can see and feel what the characters do. The characters in The Between Times, are simple folk. The older people remember better times growing up, but the children know nothing but how things are. No matter what their lot, the live in hope that one day, the girl will save them. I highly recommend The Between Times. It’s haunting tale will delight all ages. Written with easy enough vocabulary for younger readers, it is also a wonderful story for adults.